It’s been a colorful Spring so far. 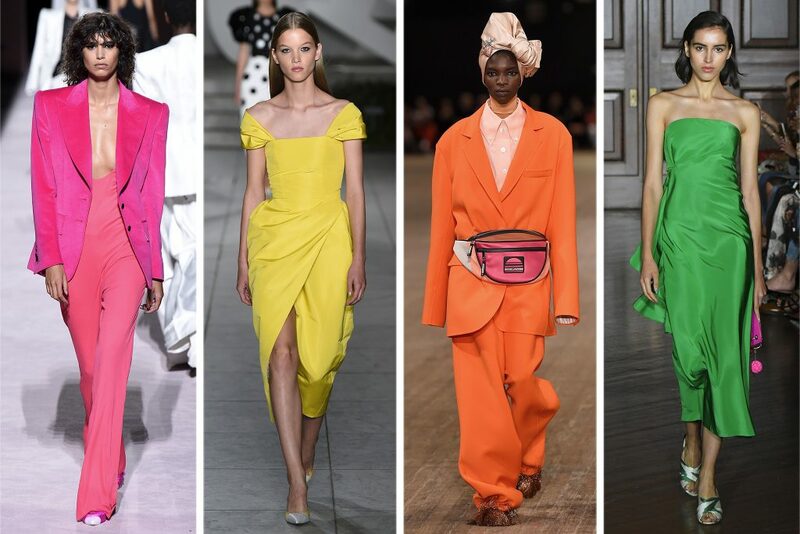 One of the biggest trends we saw on the runway for Spring 2018 has been bold colors worn in a monochrome (head-to-toe) type style. A little cartoonish, but a lot stylish, these bright hues can add a lot of energy and whimsy to an otherwise mundane wardrobe. Here are our top picks to rock this trend tastefully in the studio. This adorable set in a gorgeous burgundy tie-dye hue is classic, yet undeniably boho-chic – perfect for festival season or going from pilates to beach. We love this Ebb & Flow seamless set by NUX in a dusty peach tone. Just enough of a bright, pop of color without being over-the-top. Known for their soft fabrications and ‘just right’ compression that keeps you tucked in without compromising range of movement, DYI is quickly becoming a technical favorite among the studio elite. We love this signature set in a deep, rich teal color. A vibrant, yet classic hue that will not go out of style. Shop these looks and more at SimplyWORKOUT.